Our ever-popular Disco Rainbow Jai Bright Satchel is modeled here by the gorgeous Sarah from Josie Loves, one of the biggest fashion blogs in Germany. Sarah has been blogging about fashion, beauty and lifestyle since 2010, but also works as a freelance journalist. She has a particular penchant for high heels and luxury bags, so we were really excited to see how she had worn her Rainbow Jai. As she points out in her piece, this bag has been worn by Blake Lively in Gossip Girl and we must say, Sarah’s outfit certainly has something of the New York city glamour about it. She is right on trend with her turquoise dress, a must have colour this season; take inspiration from Proenza Schouler’s Spring 2013 collection. Pop over to Sarah’s blog at www.josieloves.de for some great outfit inspiration. JOSIE LOVES…. 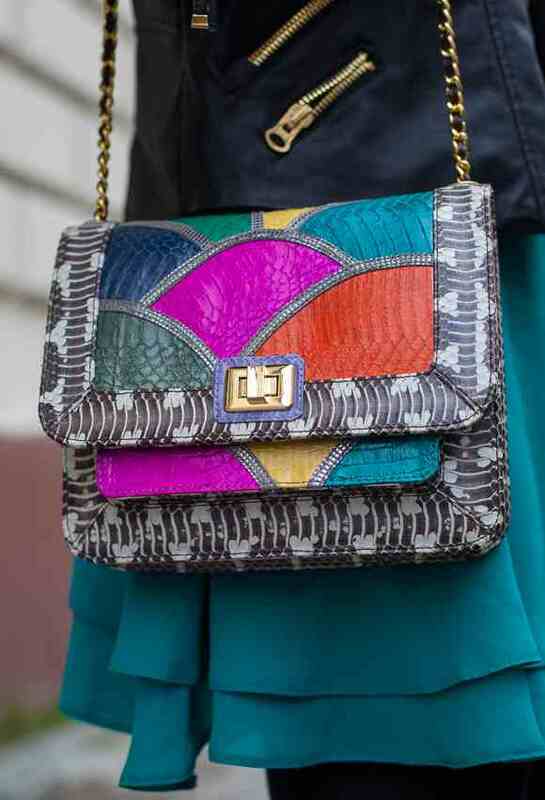 Angel Jackson’s reinvention of the well adored classic satchel. 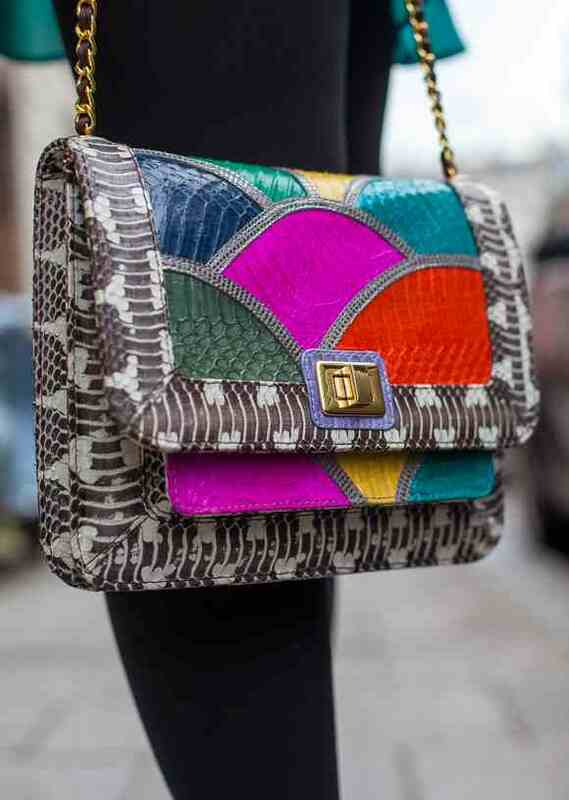 Superbright layered snakeskin panels finished with Whipsnake trim this bag comes with a classic long gold chain, and looks great worn across the body with a summer dress or over the shoulder for a strong statement tailored look. It is the epitome of uptown chic meets downtown cool. As featured in Vogue, Grazia and Glamour and Gossip Girl! ← BEHIND THE SCENES IN BALI.. WORKSHOP FAMILY DAY!